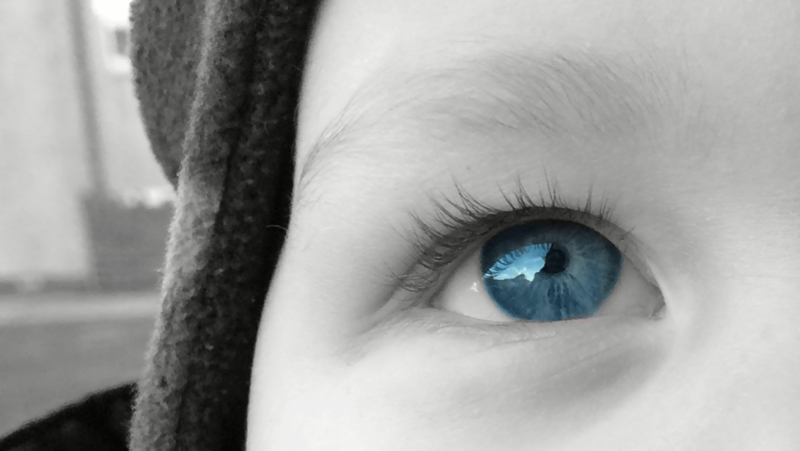 This entry was posted in child related and tagged blogging 101, blogging101, blue eyed boy, different format, toddler on 23rd January 2015 by www.mammylu.com. So, my first ever attempt at a daily prompt. Who’s step are we re-springing? Mine, or yours? -finally growing up a bit and getting contact lenses. After 13 years of glasses. What puts the spring back in your step? 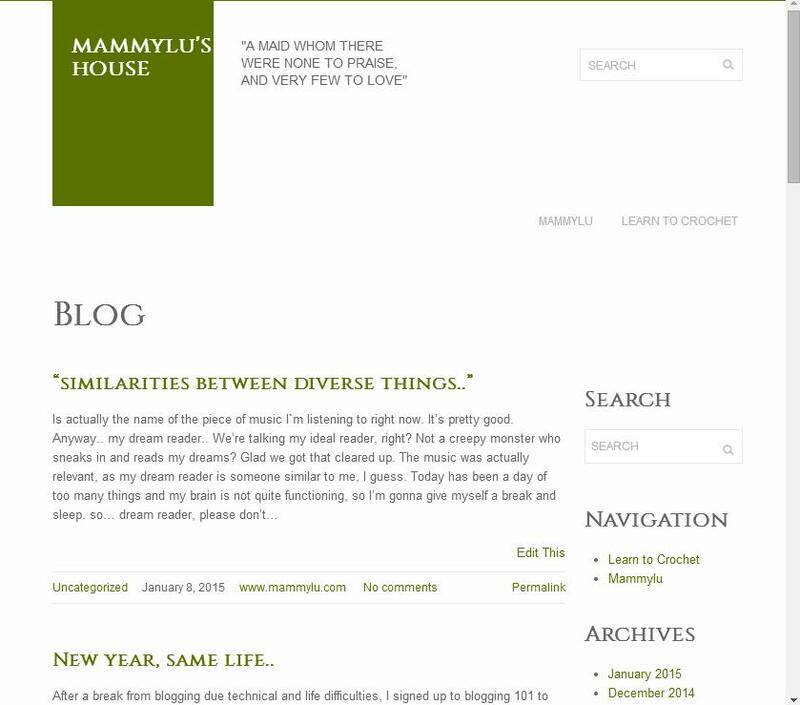 This entry was posted in Uncategorized and tagged blogging101, daily prompt, dry january, new year, no more glasses, tattoo on 19th January 2015 by www.mammylu.com. Sometimes people will compliments me on something I’ve made. I don’t respond to compliments very well. I used to respond with ‘I get bored sometimes’… I’ve managed to stretch that to the slightly more socially acceptable ‘thanks, I get bored sometimes’. But my social ineptitude is sometimes impossible to hide. Anyhow, I made Mr Octopus over a couple of nights after work whilst watching TV. He’s a pattern from a book, I got a bargain on some sock wool (the best stuff for monster making) and had to test it. In other news, my fridge-freezer gave up and the end of last week, which wasn’t good as I couldn’t afford a new one. Santa is helping though (he gets earlier every year) and a new one arrives tomorrow. A different santa helped when our washing machine stopped washing just before Christmas. I like Santa. It made me chuckle, anyway. Well, enough rambling for tonight! G’night folks! 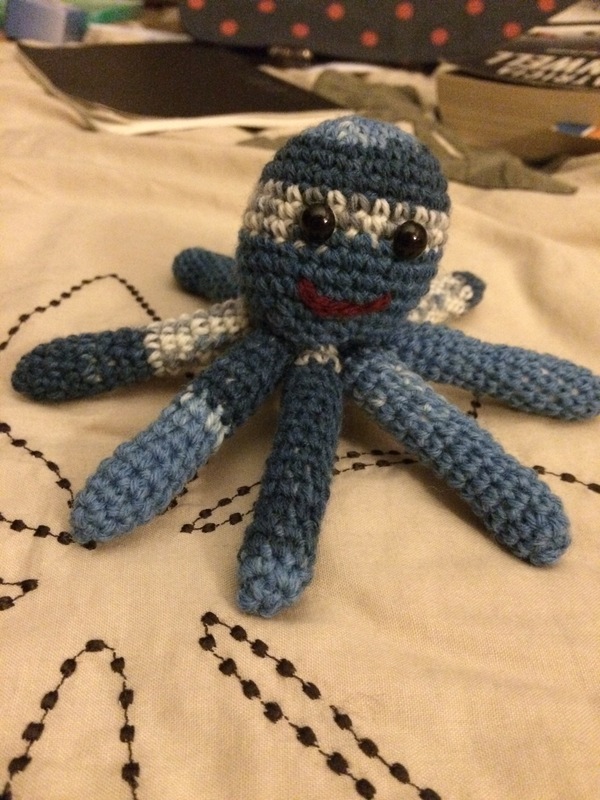 This entry was posted in Uncategorized and tagged crochet, HOMEMADE, octopus, santa, wool on 13th January 2015 by www.mammylu.com. Hmmm… last one is best, but I think I’ll stick with what I have.. 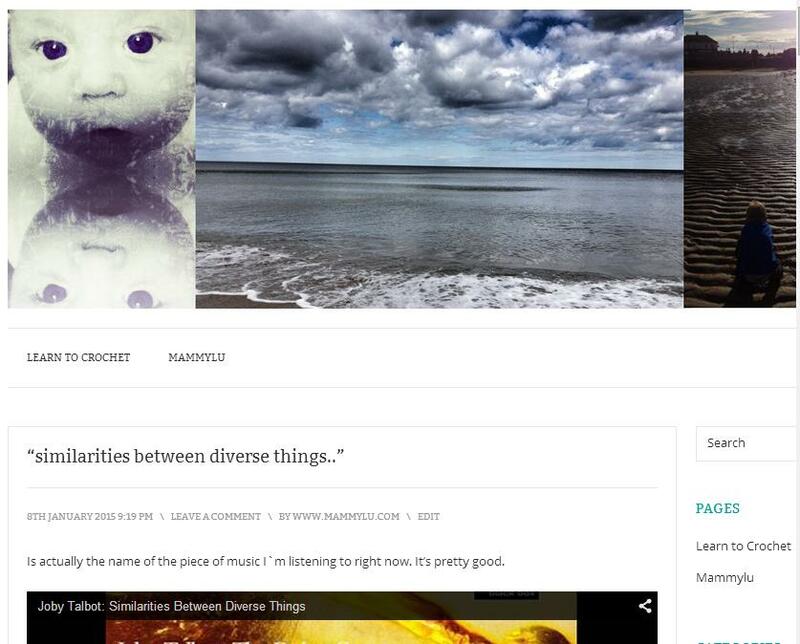 This entry was posted in Uncategorized and tagged blogging101, themes on 9th January 2015 by www.mammylu.com. Is actually the name of the piece of music I`m listening to right now. It’s pretty good. Anyway.. my dream reader.. We’re talking my ideal reader, right? Not a creepy monster who sneaks in and reads my dreams? The music was actually relevant, as my dream reader is someone similar to me, I guess. Today has been a day of too many things and my brain is not quite functioning, so I’m gonna give myself a break and sleep. so… dream reader, please don’t read my dreams.. Have a nice sleep and I’ll see you tomorrow.. 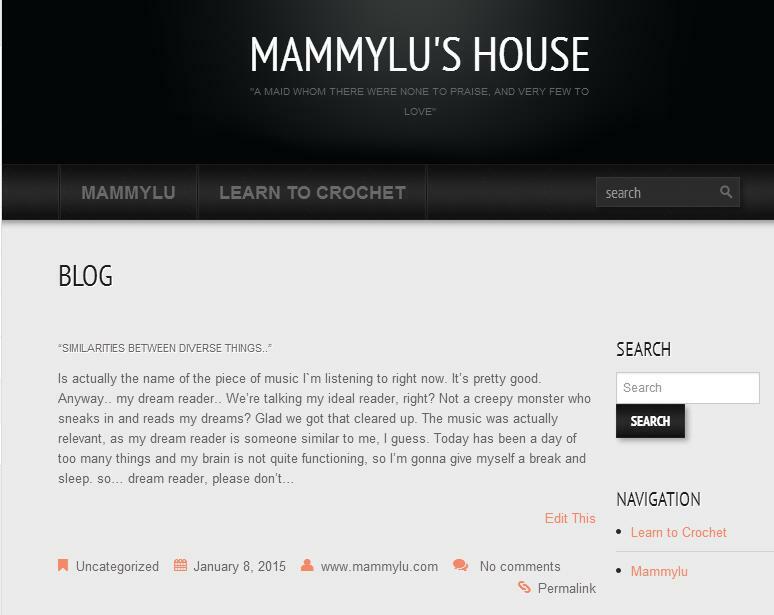 This entry was posted in Uncategorized and tagged blogging101, dreamreader, jobytalbot, music on 8th January 2015 by www.mammylu.com.